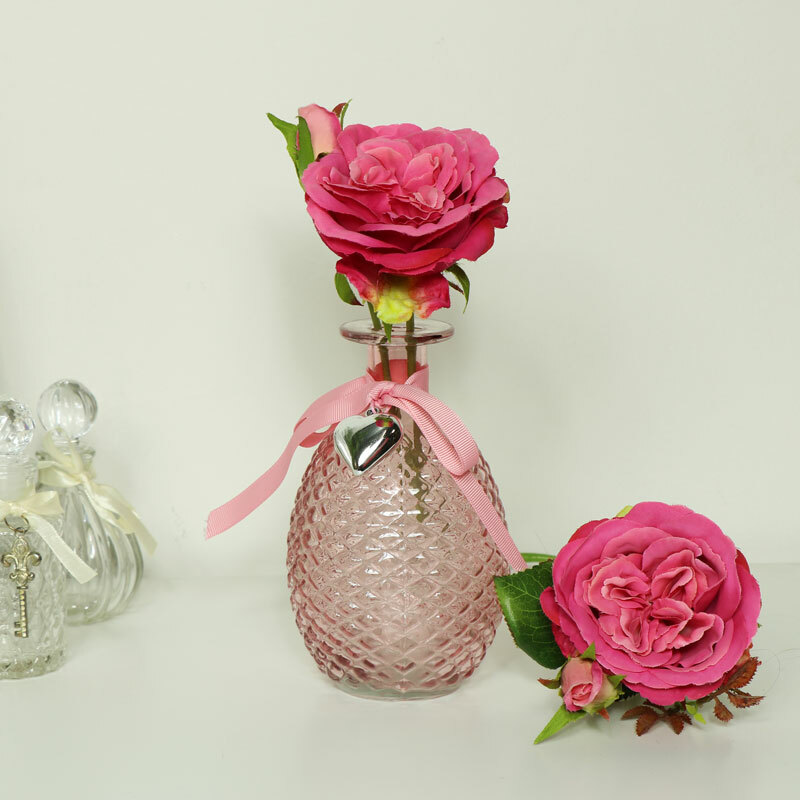 This beautiful decorative pink bottle vase will add some vintage French glamour to your home decor. Perfect for the girly boudoir, bedroom or bathroom. 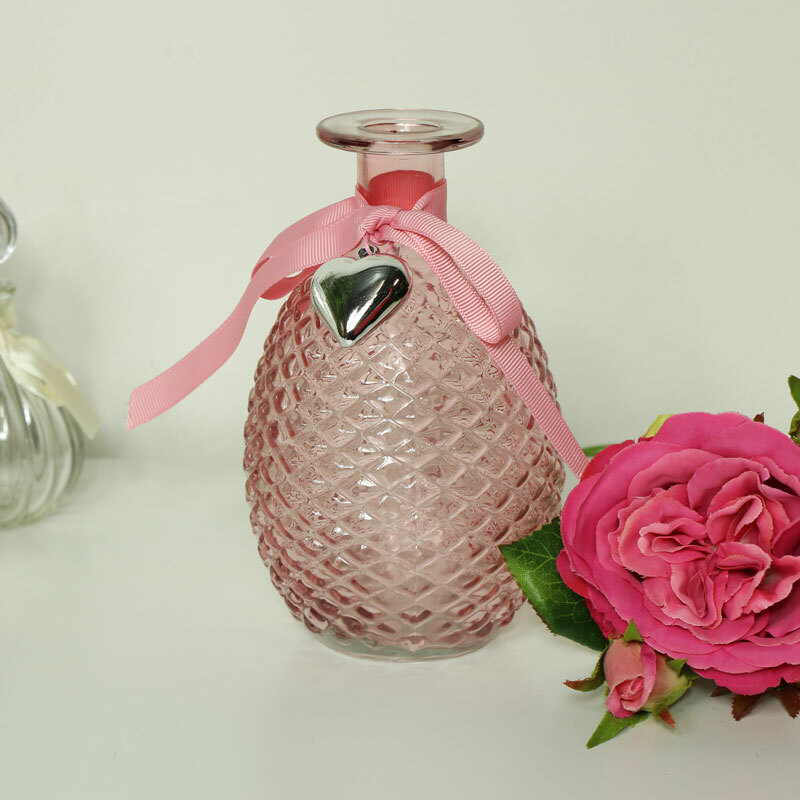 The bottle comes in a pretty pink colour with a pink tied around the neck, decorated with a silver heart charm. A great gift idea for anyone that loves pink and girly accessories. 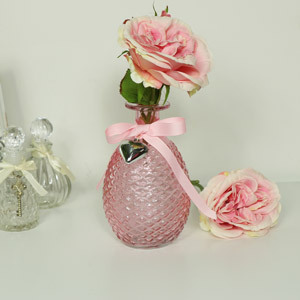 This beautiful decorative pink bottle vase will add some vintage French glamour to your home decor. Perfect for the girly boudoir, bedroom or bathroom. 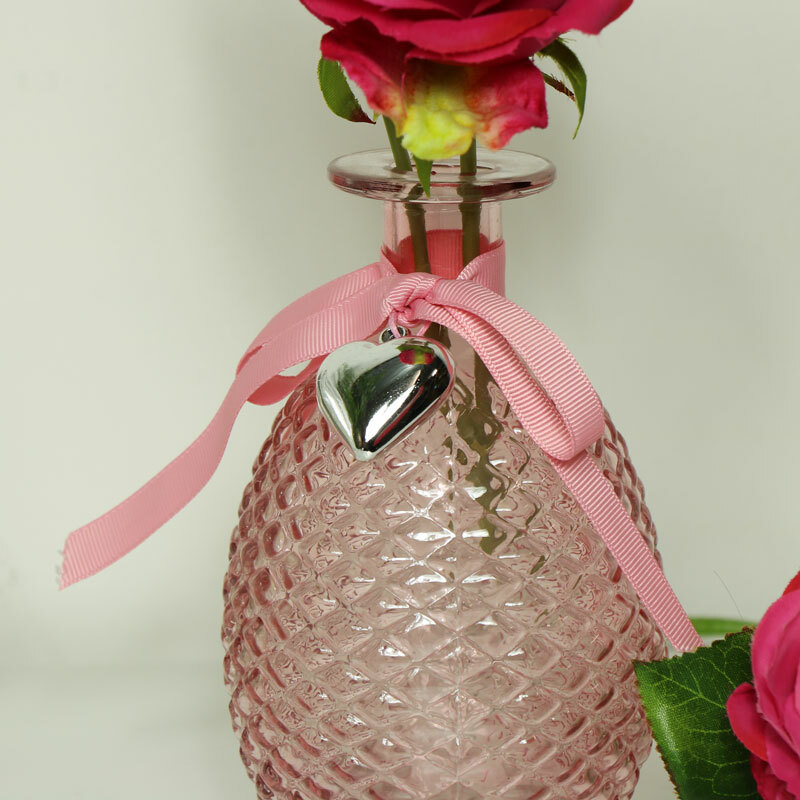 The bottle comes in a pretty pink colour with a pink tied around the neck, decorated with a silver heart charm. A great gift idea for anyone that loves pink and girly accessories.